The Caribbean Community, known as CARICOM, has once more called for an end to the U.S. blockade of Cuba. On Monday, December 8, the Fifth CARICOM-Cuba summit took place in Havana, with Cuban President Raúl Castro Ruz presiding. Such summits have been held every three years since 2002. Cuba is not a member of CARICOM. But with its 11 million people, Cuba is the largest country in the Caribbean by far. So by holding the meeting in Havana, the CARICOM member states signal their respect for the socialist island, their desire to integrate Cuba fully into the regional economy, and their very strong opposition to U.S. anti-Cuba policy. The CARICOM Chair, Prime Minister Gaston Browne of Antigua and Barbuda, said that the Obama administration should end the “senseless” U.S. embargo of Cuba which began shortly after the Cuban Revolution of 1959, and has caused billions of dollars in damages to the Cuban economy. 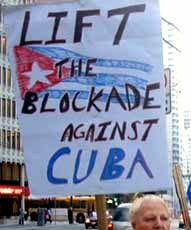 Because U.S. policy penalizes foreign companies which trade with Cuba and not just U.S. ones, the Cubans call U.S. restrictions a “blockade” and not just an embargo. CARICOM is a group of 15 states in the Caribbean area which cooperate on trade, services, investment, crime fighting and other matters. The full member states are Antigua and Barbuda, Bahamas, Barbados, Belize, Dominica, Grenada, Guyana, Haiti, Jamaica, Suriname, St. Kitts and Nevis, St. Lucia, St. Vincent and the Grenadines, and Trinidad and Tobago. Montserrat, though a British dependency, is also a full member of CARICOM. Some other small countries lacking full independence are associate members. A number of other countries have observer status, including Venezuela and the U.S. dependency of Puerto Rico. The Dominican Republic has applied for CARICOM membership, but the processing of the application has been suspended because of a Dominican court decision stripping thousands of people of Haitian descent of their citizenship. In related news that predates the historic Dec. 17 announcement of the resumption of U.S.-Cuban diplomatic relations and release of the remaining three of the Cuban Five, six prisoners from the U.S. base at Guantánamo Bay, Cuba, arrived safely in Uruguay to live. The Uruguayan president, José Mujica, had agreed to take them off the U.S. government’s hands. President Obama has declared his intention to eventually close the prison at Guantánamo, where many observers say human rights abuses have been rife; but a problem has been finding countries to take prisoners cleared for release. News reports in the corporate controlled press here have, for the most part, failed to mention that president Mujica had asked that, as a goodwill response, the U.S. free the remaining three of the Five. Clearly this process was already privately in progress, coupled with the freeing of U.S. contractor Alan Gross, who was serving a 15-year jail sentence in Cuba for having secretly introduced specialized electronic equipment designed to evade Cuban government monitoring. 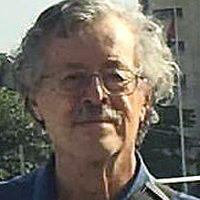 No doubt, global pressure on the U.S. such as the CARICOM declaration, led to the sudden and surprising events of Dec. 17. Mujica had also called on the United States to free Puerto Rican independence activist Oscar López Rivera, but this has yet to happen.